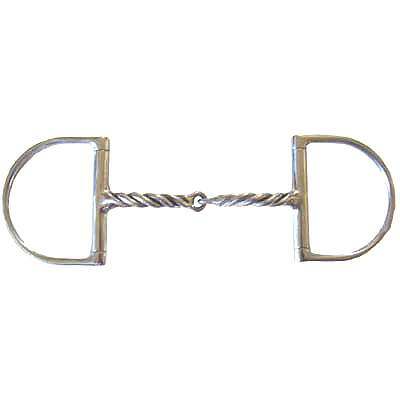 The Twisted Bent Wire Dee Ring Snaffle Bit is one of the most popular Horse Snaffle Bits. This item measures 2.5'' x 3'' rings and 11mm mouth. Only the best Dee Bits are sold at Horse Tack Now at Discount prices. Available in: 5'', 5 1/4'' and 5 1/2''.